No matter how much training you intend to devote to your new puppy, one thing is for sure: you have to potty train them! Accidents in the house are bound to happen, but with the right skills – and a lot of patience – you may be able to avoid experiencing a lot of messes. Here are five expert tips on housetraining your puppy that will help you to be done with bathroom accidents – for good! 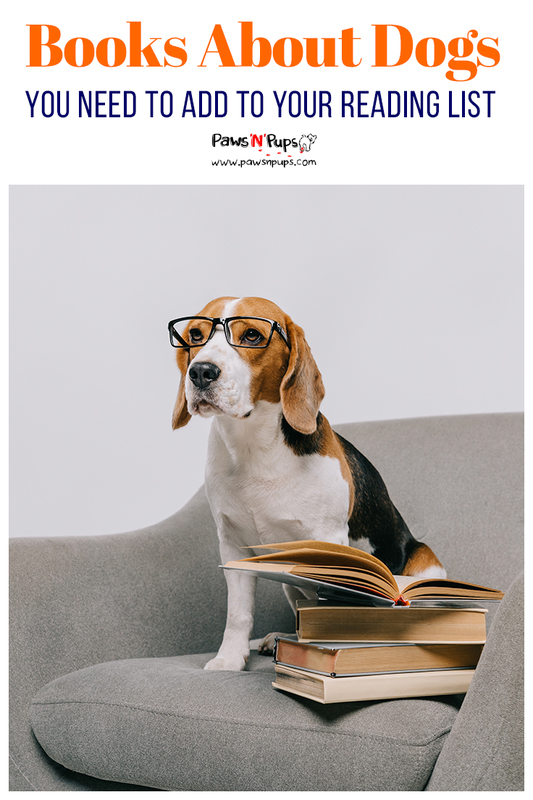 Keep a ScheduleKeeping a potty schedule for a puppy is definitely one of the most crucial aspects of training your new bundle of joy. Your new dog is learning every day what their new life with you is like. Keeping a consistent schedule means your dog will learn what you want from them – and they will learn it fast!But how do you know what the schedule should be? The Humane Society of the United States says there is a general rule of thumb for creating a bathroom schedule for puppies. 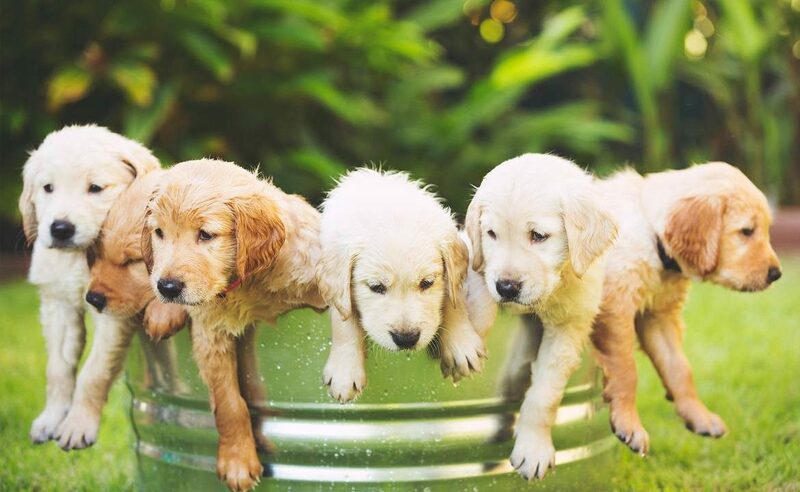 Most puppies can “hold it” for one hour for every month of their age. For example, a brand new puppy will be no more than 8 weeks old, or about 2 months old. This puppy will be able to hold their bladder for approximately two hours before an accident occurs. Once your puppy reaches 3 months of age, they should be able to hold it for 3 hours, and so on until they are adults. Create a bathroom schedule for your dog that works within their capabilities. As your dog gets older, these breaks can be less frequent. You may need to hire a dog walker to provide consistent bathroom breaks if you are not home. It’s also important to get your puppy on a consistent feeding schedule. The American Humane Association states that if a dog is eating all day, whenever they want to, this will inevitably mean they will be pooping all day. And pooping all day means more accidents that you have to clean up. Create a schedule and stick to it. Make sure you take your puppy outside for a bathroom break after every meal. If you are worried that your dog is either eating too much or too little, consult with your veterinarian. They will be able to recommend the appropriate amount of food for every meal. Expect to feed your puppy Breakfast, Lunch, and Dinner. Adult dogs typically only need to eat Breakfast and Dinner. Your veterinarian will be able to provide a healthy recommendation. Clean Up Messes ThoroughlyDogs are extremely smell motivated. 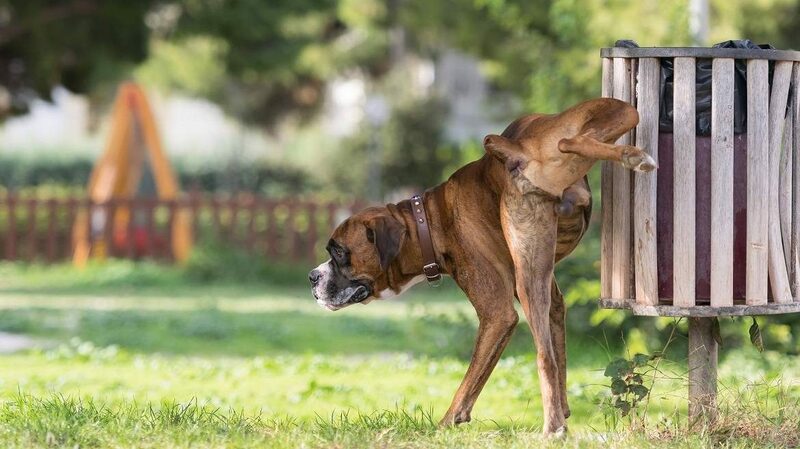 According to the American Humane Association, a dog is much more likely to return to the location of a previous accident if it still smells like urine or feces. Because of this, it’s extremely important to clean up the mess quickly and thoroughly!To prevent accidents, supervise your puppy as carefully as possible. If you catch your puppy in the middle of creating a mess in the house, interrupt them! But do so without any aggression or creating fear. The Humane Society of the United States suggests making a startling noise or using a corrective word such as “outside!” This will serve to stop your puppy mid-mess. Immediately bring your puppy outside to finish. Then, praise your puppy for going to the bathroom outdoors. If you don’t catch your puppy in the act, do not punish them! 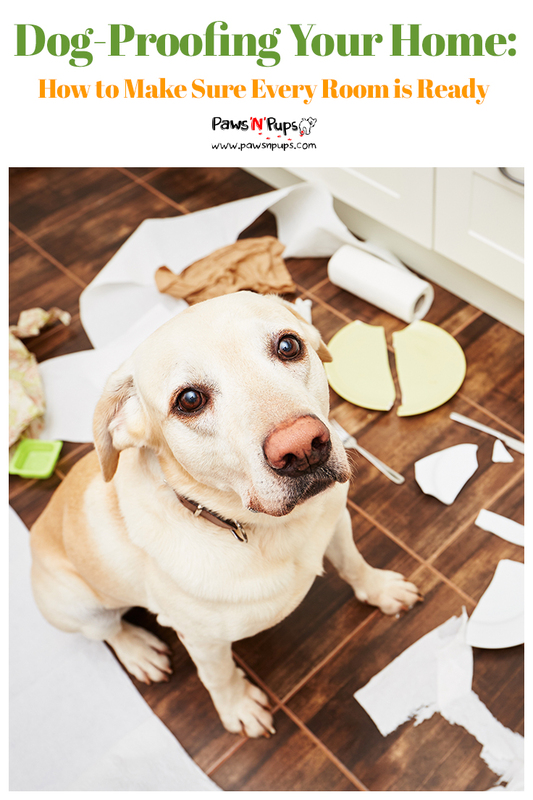 The mess has already been made and your dog will not understand why you are angry. It is best to clean up the mess as quickly as possible. Your veterinarian or local pet supply shop will be able to suggest cleaning products that are puppy-safe and will completely eliminate odors and stains. But Leave Messes Outside!So how about those messes outside? If your puppy is using the bathroom in public areas such as dog parks or sidewalks, you should absolutely clean up any solid waste. But if your furry friend is pooping in your private back yard? 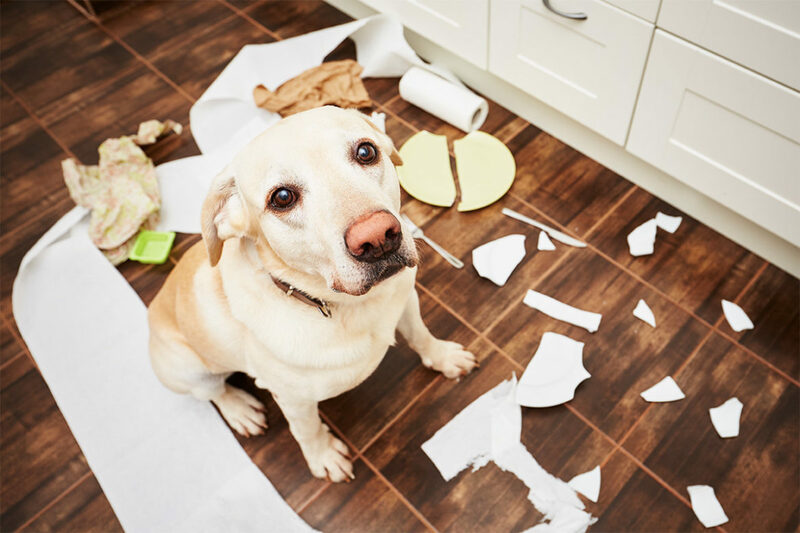 The American Humane Society actually suggests leaving it right where it is!This might seem a little gross, but it can be extremely helpful during the housetraining process. As we mentioned earlier, dogs are smell focused and will return to a bathroom spot over and over again if it smells like urine and feces. Why not use this to your advantage? In addition to leaving messes where they are, you can even move an accident to the preferred bathroom corner in your yard. The smell of this recent poop will encourage your puppy to return to that spot the next time they have to go to the bathroom. But don’t worry – you don’t need to have a whole pile of dog poop in your yard while potty training! Once your puppy makes a new mess, simply clean up the previous one. This way your yard doesn’t become an eyesore or a danger-zone for bare feet. And once your dog is fully housetrained, you no longer need to leave anything behind. Consider Using a CrateWhile every well-intentioned dog owner would like to be there for their puppy 24/7, sometimes this simply isn’t the reality. And when no one is available to supervise their fur-baby, it may be time to consider using a crate.For some dog owners, the idea of keeping a dog in a crate seems cruel. But in fact, most dogs come to love their crate. Dogs are den animals, and will naturally gravitate towards small spaces that feel safe – even if they don’t have a crate. Crate training also has additional benefits like getting your dog warmed up to jumping in the car with you to visit a friend or the vet. So how can a crate help with housetraining? Well, it may surprise you to learn that dogs are actually very clean animals. Unless they are absolutely desperate, they will not go to the bathroom in their crate area. A safe-feeling and comfortable crate becomes their living space, and just like humans, dogs don’t want messes like that in their living space. Keeping your puppy in the crate for extended periods will train them to hold it longer, but don’t push this too far. Your puppy will likely scratch or whine to let you know they are ready to come out of the crate and use the bathroom, so let them out. If you wait too long with the intention of teaching them to hold it in, you will likely have an accident on your hands. As your puppy matures, the crate can be an excellent place for your fully grown dog to rest while you are away from the house. Your dog will feel safe while you are gone, and you will have peace of mind knowing that an accident will not occur while you are away. Plenty of Positive Reinforcement!Training a puppy is tough, no matter what skill you are attempting to teach them and potty training is no different. Positive reinforcement might seem like an especially silly thing to do after your dog uses the bathroom, but do it anyway. Let your dog know that you are happy to see them doing the right thing. Reinforcing this message will go a long way during the training process.It is also important to stay away from negative reinforcement while potty training. If you continuously punish your dog for performing normal bodily functions, you could end up with a very confused and upset dog. Staying calm, firm, and patient can be difficult sometimes, but keep it up! When done calmly, housebreaking your puppy should only take a few weeks. How did you housetrain your puppy? Did it go smoothly? Or was it a challenge? Share your stories with us! 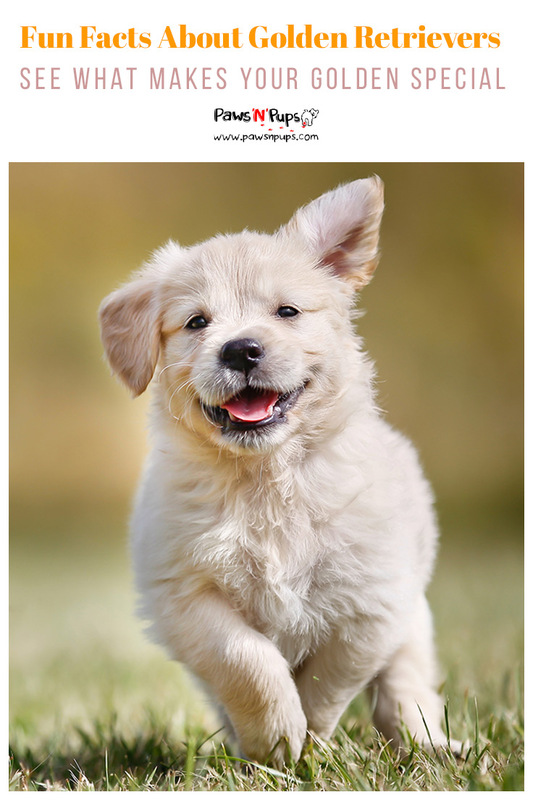 Golden Retrievers are perhaps one of the most recognizable breeds of any dog. Their friendly personality and happy disposition are the standards by which many pets are judged. We see these dogs in movies, on television, working jobs, and of course, living comfortable lives with loving families. But how much do you really know about the Golden Retriever? Check out these 6 facts about one of America’s favorite breeds! The First Ever Golden Retriever was a Mistake (Sort Of)In the early 1800’s, Retrievers were a popular breed in Scotland and England. According to the AKC, this was due to the prevalence of game that could be hunted. Hunting was still a popular way to get meat and a popular sport as well.The first Golden Retriever was a small yellow puppy – the only yellow dog in a litter of black Wavy-Coated Retrievers. Though his yellow coloring was a bit unusual, the dog was still purchased in 1865 by a Scotsman named Dudley Marjoribanks, first Lord of Tweedmouth. It was Lord Tweedmouth who decided to breed this funny yellow puppy. The puppy, which he named “Nous” was to be bred with a female Tweed Water Spaniel named “Belle” – a breed that is now extinct. According to the Golden Retriever Club of America, Lord Tweedmouth was interested in developing a breed that was well-suited to the Scottish climate. Nous and Belle produced two litters and four yellow puppies, which became the foundation for the Golden Retriever as we know it today. They are Equal Parts Smart and SillyGolden Retrievers today are known to have one of the best temperaments of any dog breed. It’s no wonder they are ranked by the AKC as the 3rd most popular dog breed in the United States! The AKC lists friendly, reliable, and trustworthy as the chief traits of the breed. In fact, their personalities are so agreeable, that the official breed standard states that, “quarrelsomeness or hostility towards other dogs or people in normal situations, or an unwarranted show of timidity or nervousness, is not in keeping with Golden Retriever character.” In fact, if a Golden Retriever demonstrates these unwanted characteristics in a show ring, that could be grounds for deduction in points!Along with their agreeable personality, the Golden Retriever is known for being playful and silly and probably why the AKC refers to them as “the Peter Pan of dogs!” But they aren’t just golden goofballs. These retrievers are naturally very intelligent and eager to please. But They Still Need Training!Just because they have a wonderful personality by nature, doesn’t mean you can forget about training! The AKC cautions that they are an active breed, and need to be given proper exercise and attention. Golden Retrievers are also big people pleasers, and love to have a job to do! Train your Golden on basic commands, and practice them every day. They will love how happy it makes you to see them perform even the simplest of jobs. And it will definitely be a job well done.It’s also important to socialize your puppy from the start. Goldens are naturally very adaptable to many situations, but it’s essential to start this from a young age. They are Pretty Much Good at Almost Everything They DoWhen you think of any job a dog can have, you’ve probably seen a Golden Retriever doing it. Whether it’s search and rescue, hunting, being a therapy dog, or being the guiding eyes for a blind person, Golden Retrievers are excellent at any job they set their mind to. The AKC states that they are incredibly hard workers whose physical strength aids in their ability to perform their duties well.Though their capabilities certainly have a lot to do with intelligence, their excellent job performance can also be credited to their amazing adaptability. As the GRCA puts it, a Golden Retriever is “equally comfortable with a hike, swim, romp in the snow, snuggle on the sofa, or taking up most of your bed at night!” Any situation a Golden is presented with they will adapt to comfortably and eagerly – so long as a devoted human is by their side! Being a Guard Dog is the ExceptionPerhaps the only job a Golden Retriever might be bad at is being a guard dog. After all – they are super friendly! You may not want to trust your Golden Retriever to protect your home.Golden Retrievers are first and foremost devoted to their families. If an immediate threat was obvious, they may certainly step in. But when a stranger comes to the door, the typical reaction of a Golden is to bark until the new person comes to greet them. And before you know it, the new person has quickly become a new friend – no matter who they are! This is in part due to the fact that Golden Retrievers do not do well alone. It is recommended that Golden Retrievers never be left home alone for more than 7 hours at a time. In fact, for all the positive rankings Golden Retrievers receive on the AKC website, only 53% of owners agree that they do well left alone. They Have a Face for FameWith their wonderful personalities – and good looks too! – it’s no wonder we are constantly seeing Golden Retrievers on the big screen. Movies like Homeward Bound or Air Bud and television shows like Full House all feature lovable Golden Retrievers.In fact, one Golden Retriever in particular stole the hearts of America for a time. Buddy was perhaps the most famous Golden Retriever in the United States during the mid 1990’s. Buddy famously played Air Bud in the original “Air Bud” film and also played Comet the dog on the tv show “Full House.” Sadly, Buddy has since passed away. But his legacy lives on in these timeless stories. Do you have a beloved Golden Retriever in your life? Share a photo or a story with us! At face value, the dog park seems like a dream come true. Your dog can run around off-leash, socialize with other dogs, and you hardly have to lift a finger! Amazing, right? Well, not entirely. The dog park can get a little crazy sometimes. With so many excited dogs in one area, accidents are bound to happen. It’s important that dog owners learn proper dog park safety before taking their dog there. Think of it like preparing for the playground with a child. Here are five tips and tricks to arm yourself with before taking the leap and heading to the park with your pup. Elementary schools require children to be fully vaccinated to keep all children safe and healthy. The same rule applies to dogs at the dog park! It’s important to keep your dog in top health before playing with a group of dogs. The number one thing you can do for your dog’s health is to stay up to date on vaccinations. During your yearly visit to the vet, your veterinarian will update all the necessary shots to maintain your dog’s health. Staying up to date means your pet will not be vulnerable to diseases that could be contracted at the park. This is particularly the case for young puppies, states the Animal Humane Society. Young puppies will not have all of their vaccinations before a certain age and therefore are more susceptible to disease. Until all vaccinations are administered, the dog park is not recommended. It’s also important to never take a sick dog to the park – you don’t want to spread illnesses to other dogs! 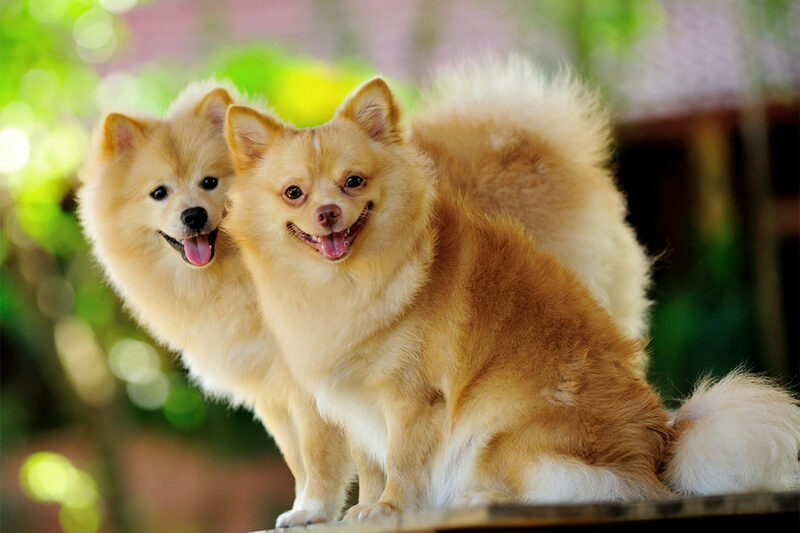 One common and highly infectious virus found in dogs is papillomavirus. Papillomas appear as a wart, most commonly on a dog’s lips and gums. They are usually relatively small and have a rough appearance – almost like the head of cauliflower. These warts are highly contagious to other dogs. 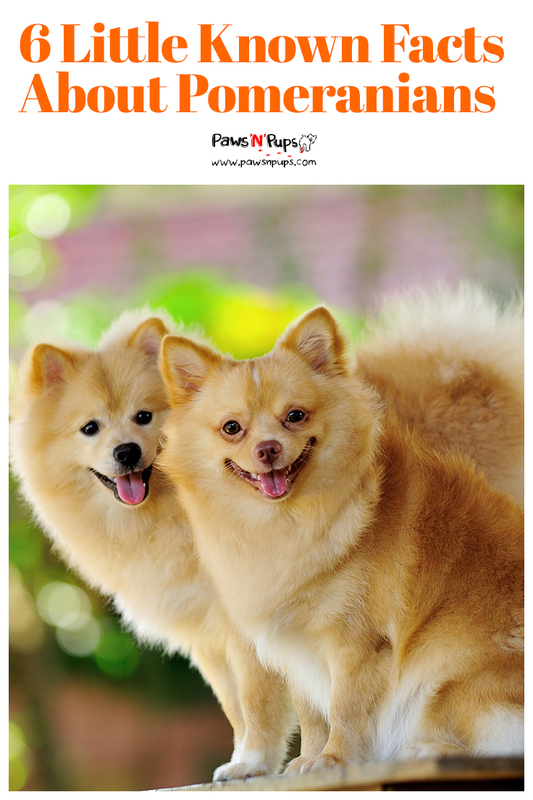 Any pup with papilloma virus should stay be kept away from other dogs. It usually takes between one to five months for papilloma to clear. However Papillomas are not contagious to humans or animals that aren’t dogs, so you and your pup can continue life as usual. If you suspect your dog may have papilloma, take them to the vet to run a test. The vet will be able to confirm the presence of papilloma and recommend treatment. And until your dog is in the clear, the dog park will have to wait! Just like you wouldn’t take a shy friend to a rowdy party, you shouldn’t take your shy or anxious dog to the park. The dog park can be a crazy place. There may be a lot of high energy dogs present, which can be overwhelming for some pups. That’s okay though – there are ways you can build your dog’s confidence. 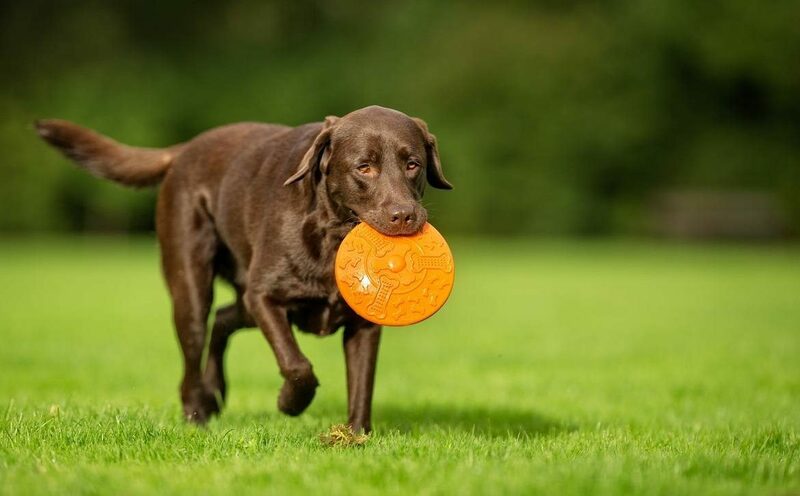 One important skill to practice with your dog is coming to you when called. The Animal Humane Society recommends practicing this as often as possible, with positive reinforcement each time your dog does as they are told. When a dog consistently comes when called you have the power to avoid all sorts of potential conflicts at the dog park. It will also make your dog feel safe knowing you are there to set the ground rules. If you’re not confident that your dog will feel comfortable around unfamiliar dogs, consider starting with play dates before going to the park. Talk to friends and neighbors and see if they are willing to schedule one with you. You can also enroll your dog in a training class before venturing to the park. This will not only expose your dog to many new friends but will also build a solid relationship between you and your dog. With a good background in basic commands and training skills, you and your dog will already have an edge on safety – and fun – at the park. The dog park is not the appropriate place to set your dog free and completely check out. Socializing with other dog owners is great, but always keep one eye on your dog. It’s important to stay aware of your dog’s body language, as this awareness can prevent accidents. This vigilance should begin the moment you enter the park. Often, the gate you enter the park through will become crowded with dogs as you arrive. Other dogs are excited to meet your pet, which is great! But this could quickly become overwhelming. Once you feel that it is safe to do so, let your dog off of its leash. This will allow your dog to communicate with the other dogs without your intervention. It also gives them a chance to run away from the overcrowding if it’s too overwhelming. Once inside the dog park, remember the training you and your dog have worked on! To demonstrate to your dog that you are there to keep them safe always remain calm and assertive. Watch how your dog is interacting with the other dogs – and trust your gut. If their behavior looks off, it’s okay to pull your dog away from a situation and give them a chance to calm down. And don’t feel bad about leaving the park earlier than you intended to. It’s always better to leave early than to stay too long and become part of an accident. Another reason to stay vigilant is so you can clean up after your dog. Dog parks do not have a cleaning service, so it is your responsibility to clean up after your dog. As a courtesy to other dogs and dog owners, it’s best if you clean it up as quickly as possible. Always bring bags with you in case the dog park does not provide them. While you and your dog may have a fantastic training relationship, this may not be true for all dog owners. Some dog owners may be dealing with a brand new dog or a dog who has behavioral issues. 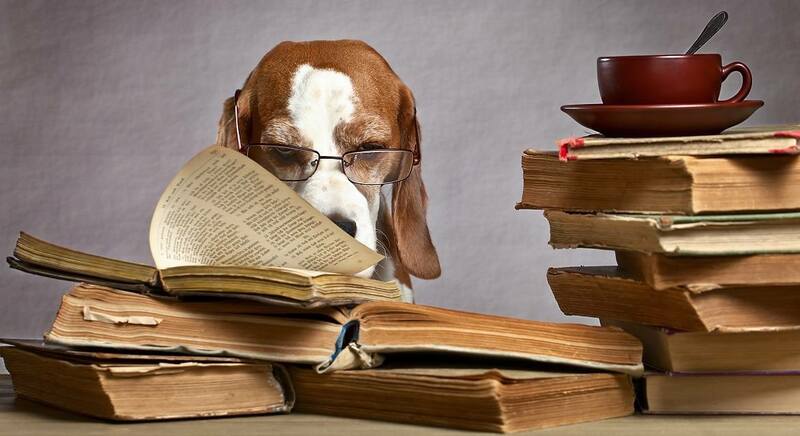 On the other hand, some owners may not have an understanding of dog behavior or simply do not care to learn. It’s best to remove your dog from any situation that may seem threatening. Don’t worry about offending another dog owner. Better safe than sorry! In a letter to a frustrated fan, Cesar Millan stresses the importance of maintaining a strong and disciplined presence for your dog – even when another owner is not. Continue to intervene in ways that you know are correct based on training you and your dog have gone through together. 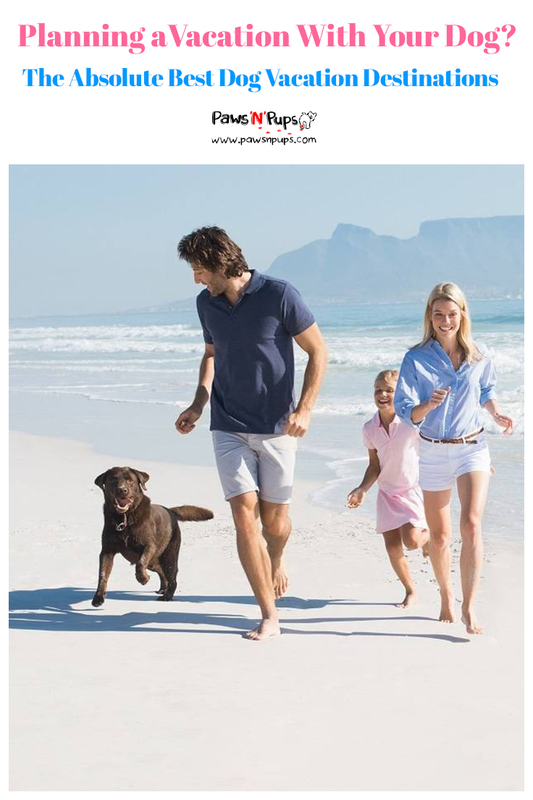 And who knows – other dog owners may follow your lead! It’s possible that a fight will break out while you are at the dog park which involves your dog. Don’t panic! The best thing you can do is stay vigilant, calm, and be prepared for this situation to occur. Both the Higgins Animal Clinic and the Animal Behavior Associates recommend that dog owners never physically intervene in a dog fight! This means do not reach in and grab your dog by the collar, scruff of the neck, or any other body part in an attempt to break up the fight. This could cause injury to both yourself and the dogs involved. It’s also important not to yell. Though it can be tough to restrain yourself, yelling and shouting can often aggravate the situation. A good technique for breaking up a fight is to use a spray bottle full of water. A quick squirt of water on a dog’s head or face (but not in the eyes!) will distract the dog long enough to separate them from the fight. Another good technique is to use a citronella spray or a can of compressed air. The citronella spray will emit an intense smell that is distracting to dogs. The can of compressed air, when sprayed, emits a loud hissing sound that distracts dogs long enough to break up a fight. Consider bringing any of these with you when you go to the dog park. It’s also worth bringing a pet first aid kit. Water, bandage wrap, and hydrogen peroxide to clean wounds are simple and effective items to keep with you at all times. For anything serious, always have the number or your local veterinarian or emergency vet saved in your cell phone. Bonus Tip: HAVE FUN! Don’t forget to smile, play, and have a great time! Remember that the dog park is like a playground. Accidents will happen, but probably not that often. 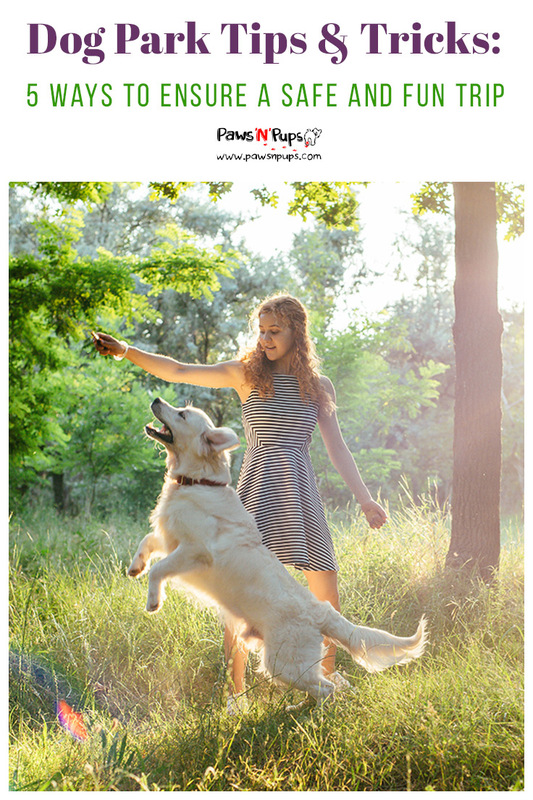 Be fully prepared, and enjoy this special play time with your dog. Do you go to the dog park with your dog? Thinking of trying it out soon? Share your stories with us! Perhaps you’ve seen the famous “Doge Meme” and thought you might like a playful Shiba Inu of your own. With their fox-like appearance, compact size, and spirited personality, this Japanese breed can be hard to resist. But how much do you know about the Shiba Inu? And do you truly think they could be the right dog for you? Check out these six facts about the Shiba Inu that any potential owner or fan of the breed should know! As a distinctly Japanese breed, the Shiba Inu has been popular in Japan for thousands of years. Shibas are just 1 out of 9 “monument breeds” to Japan, and are in fact the oldest of the Japanese breeds. But today, even after increasing popularity in the United States, it remains the number one companion dog in Japan. This is partly because they make excellent watchdogs, according to the AKC. In fact, they are so important to the Japanese, that in 1936 the Shiba Inu was named a “precious natural product” through the Cultural Properties Act. This helped the Shiba Inu to gain official recognition throughout the world. The Shiba Inu’s name, though certainly Japanese in origin, is something of a mystery. There is no certain answer as to where the name came from exactly. Some believe it received its name because of its skills in navigating through the brushwood. 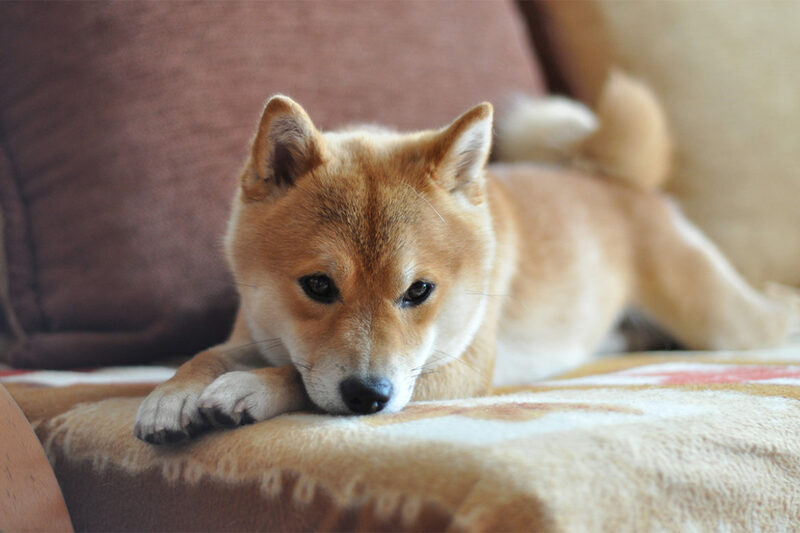 Other stories suggest that the name is meant to suggest its size – since another meaning for the Japanese word “Shiba” is “small.” Regardless, no true evidence has been found as to why the Shiba Inu carries its name to this day. Though their popularity spans across centuries in Japan, the Shiba Inu nearly went extinct during World War II. Many dogs perished during bombing raids in that period. Those that did not die during the raids often took sick and died from distemper after the war was over. The National Shiba Club of America states that it was nearly a disaster for the breed. Had it not been for a few devoted breeders, we may never have known the modern day Shiba Inu.After the war, breeding programs were established to boost the Shiba Inu population. Shibas from remote areas in Japan were brought to these programs to begin the breeding process. Three distinct bloodlines remained that were being used to re-establish the breed. These were the San In Shiba, the Mino Shiba, and the Shin Shu Shiba. The AKC says that it is from these three distinct bloodlines that we get the Shiba Inu of today. Shiba Inu owners will warn you that this dog breed is not for everyone, and their inability to share is one of the reasons why. In fact, the National Shiba Club of America says that “if a Shiba could only utter one word, it would probably be ‘mine.’” The food nearest to a Shiba Inu? It all belongs to them. The dog toys you brought with you to the park? Sharing with other dogs will not be tolerated. And a Shiba Inu’s owner? Well, the dog will often get possessive of their owner as well. Sometimes a Shiba Inu can become aggressive if the behavior is left unchecked. It is important for the Shiba Inu to have a well-established training and socialization foundation so these behaviors can be minimized and controlled. When in the presence of other dogs, it’s wise to remove the Shiba’s favorite toys. Shiba Inus might exhibit resource guarding behavior which can lead to aggressive interactions. And this “mine” attitude applies to everything in a Shiba Inu owner’s house as well! The bed, the couch, the shoes, the food, and anything the Shiba Inu get it’s mouth on could be in danger. Crate training is strongly encouraged. The Shiba Inu should remain relatively small throughout its life. The average male Shiba should weigh 23 pounds, and the average female should weigh 17 pounds. Though many small breeds of dog don’t need extensive exercise, the Shiba Inu is not one of them. Size does not stop the fire in this active dog’s spirit.The National Shiba Club of America suggests that any traditional walking routine is best for the Shiba Inu. Shiba’s were traditionally bred to be hunting dogs, and will love exploring any neighborhood, big or small, with their owner. For this same reason, a Shiba should never be off leash unless they are in a fenced in area. If a future Shiba owner wishes to let their new dog run free in the yard, fencing is a must.The Midwest Shiba Inu Rescue also warns that Shibas will go wherever their nose leads them, sometimes regardless of training. Though a solid training foundation is important for a Shiba, they still may not always listen. This feisty behavior can be quite frustrating, but the true Shiba Inu fan finds it charming and embraces the quirks as part of a lifestyle. One reason many future dog owners become interested in the Shiba Inu is their cat-like nature. The Shiba is a very clean breed and they can often be found cleaning themselves and each other, similar to a cat. Their cleanliness even extends to their bathroom habits. Shiba Inus tend to be very easy to house train, often becoming house broken in as little as a few days. They even have very little doggie odor, which could be appealing for those who like to keep a fresh and clean household.Shibas are also very agile, similar to a feline. While most dogs seem to find themselves in all kinds of silly mishaps, the Shiba is more coordinated giving it a natural resistance to injury. Shibas also have a tendency to perch, similar to the way a cat might. Due to their hunting instinct, it is not uncommon to find a Shiba sitting atop the back of a couch or perched on top of a table, scouting for prey. “Menswear Dog” is a famous canine that models menswear clothing – human clothing that is! And the breed of Menswear Dog is none other than the Shiba Inu.Bodhi is a five-year-old Shiba Inu earning a living as a menswear model. And a hefty living it is! According to Fast Company, Bodhi earns $15,000 a month through various modeling jobs. Those jobs include photo shoots for Coach, Victorinox Swiss Army, Ted Baker, American Apparel, Brooks Brothers, Salvatore Ferragamo, ASOS, Hudson Shoes, Revlon, Todd Snyder, The Tie Bar, Polyvore, and Purina to name a few!It’s clear that Bodhi has a natural talent for the modeling industry. In addition to having an adorable face, he is wonderfully capable of sitting still – even with many layers of clothes on. Such talent! Thinking About Getting A Shiba Inu? 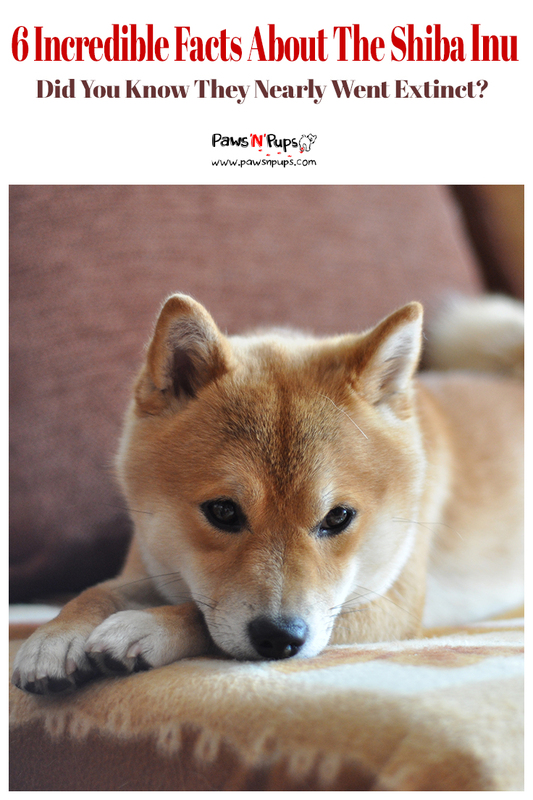 If you are thinking about getting a Shiba Inu, make sure to check out our comprehensive breed guide! Are there any Shiba Inus in your life? Have any fun stories about their fun and willful personality? Let us know! Congratulations! You’ve decided to add a dog to your family. You’ve done your research, purchased all the necessities ahead of time, and are ready for this new challenge. Or are you? 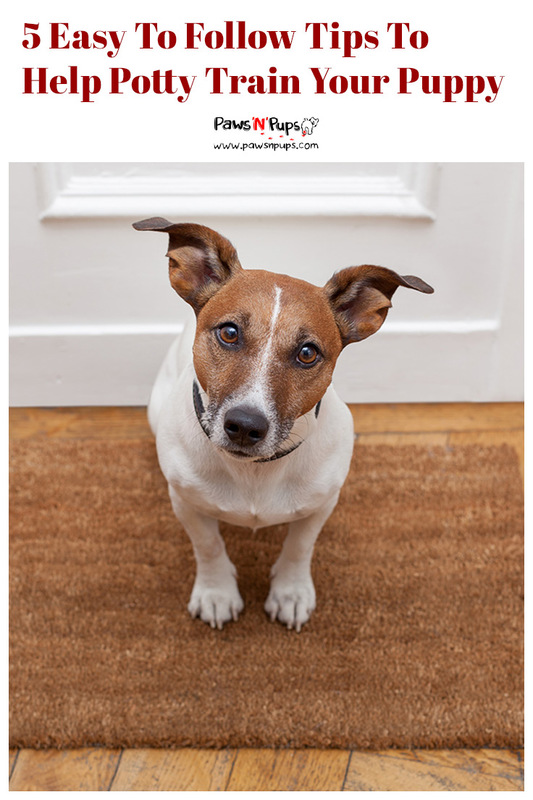 Having a dog in your house – no matter how young or how old – poses plenty of new challenges. And your home itself can present dangers for your new dog. Here are five ways you can dog-proof your home and prepare yourself for the new arrival. From a human’s two-legged, upright view of the world, things can look pretty different than what they look like to a dog. The best way to know what might be appealing – or dangerous! 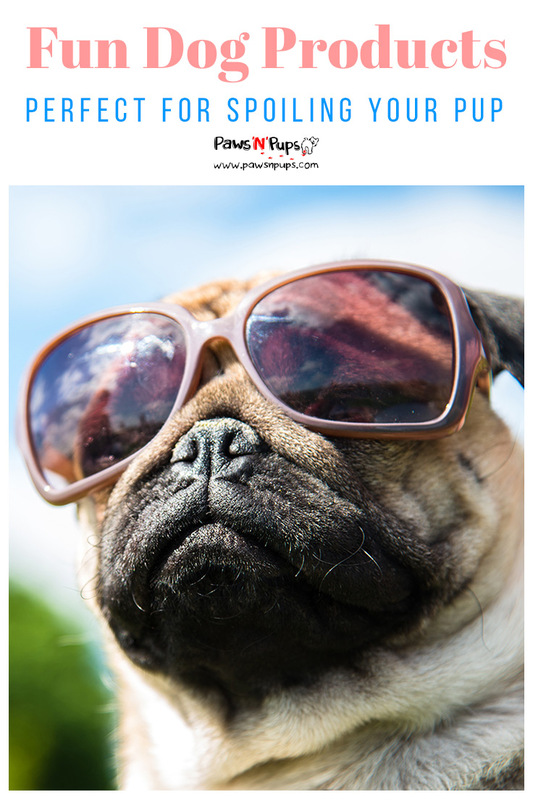 – To your dog is to look at your home from a dog’s perspective. That’s right! It may seem a little silly, but walking around on all-fours throughout your entire home will let you know what changes need to be made. Notice what kinds of things are left on the floor at dog-eye level. Does it look like something a dog might want to chew on? Find a way to either cover it or store it at human-level. Look out for plastics that a dog could choke on, medications and chemicals that a dog could accidentally eat, and personal items that are expensive or irreplaceable if chewed on or broken. Keep an eye out for anything that could pose a danger to your dog, particularly electrical cords. If possible, keep electrical cords unplugged, so the danger of electrocution is minimized. If an appliance must remain plugged in, cover the wires so a dog cannot chew them or become tangled in them. Also, take notice of all doors and cabinets. If a dog is curious, they can very easily nose their way through a door to an area they shouldn’t be exploring. The American Humane Association recommends investing in childproof latches on all cabinets. They also recommend blocking up any holes such as floor vents that a curious dog may stick their nose into. This can easily be resolved with a secure grate covering the vent. Once you’ve done the all-fours inspection, it’s time to start cleaning – and keep it clean! Adding a dog into the mix is a whole lifestyle change, and a new owner should be prepared to maintain a dog-safe home. Start by taking all loose items that are on the floor and low to the ground and moving them to secured cabinets and high shelves. Anything you don’t want to be broken or chewed on should be put away or placed high above a dog’s reach. This includes toys, shoes, clothing, artwork, and anything else a dog may think is an appealing chew toy. One of the most tempting items a dog can get themselves into is food. Always clean up any dirty dishes immediately. Never leave food out where a dog can reach it, even if it’s in a wrapper. The wrapper could be a choking hazard to the dog, even if the food itself is safe to eat. It’s also important to remember that the garbage can smell like a feast to your dog. This Old House recommends taking food waste out of the home as quickly as possible. Covering your trash with a layer of baking soda can also diminish the smell, thus diminishing the temptation. And don’t forget to put a secure lid on the trash can! It’s also important to get in the habit of closing doors. The bathroom door should be kept closed at all times so your new dog cannot get into any bath products that could be toxic. Keep cabinet doors in both the kitchen and the bathroom latched – especially cabinets that contain medicine or cleaning supplies that could potentially cause harm. The American Humane Association cautions that no bath, kitchen or medicinal products should even be left out where a dog can reach them. There are no two ways about it. No matter what preparations you make, dogs will be dogs – and when they are being dogs, they are being messy. To maintain a clean home – and your sanity – it might be worth considering getting new fabric for your furniture. Because of the messes dogs make, one of the biggest considerations for new upholstery is ease of clean up. Designer Annie Selke told This Old House that using indoor/outdoor fabric on indoor furniture can be a big help with this. 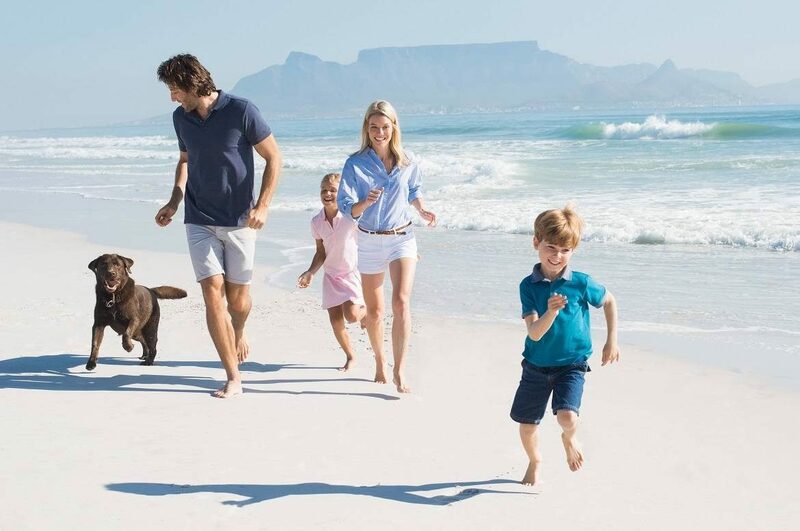 Fabrics designed for the outdoors repel moisture and dirt, making cleanup very easy. Many of these fabrics are also stain resistant, leaving no trace of the mess your dog just made. And as more and more homeowners seek both form and function in the furniture, many of the outdoor fabrics have a high-end look that is appealing inside the home as well as out. Sometimes cleaning is hard to keep up with, so camouflaging the mess may be more your style. Consider investing in leather furniture with a distressed look. Not only is leather easy to clean, but any scratches from dog nails or teeth will only enhance the distressed finish. Or perhaps excessive fur is more your concern. Some dogs shed so much there is simply no way to keep it all vacuumed up. Fabric with an appealing pattern can do wonders hiding all the fur your dog leaves behind. Maybe you aren’t in the garage much, but your dog may find all the things stored in there a little too interesting. Remember to check this area of the house for safety, just like you would any other area of the house. First, check that all chemicals and tools are safe and securely out of reach. The American Humane Association reminds us to clean all anti-freeze off of the garage floor, in addition to storing bottles in a safe place. Anti-freeze is very toxic, and one curious lick of the floor could prove deadly. It’s also important to store sharp tools away from where a dog might try to play with them. Cesar Millan also tells dog owners to move any rat poisons or other toxins that are meant to kill vermin. These poisons are often flavored and made to entice animals into eating them. Even if your dog never goes into the garage, always keep the garage doors shut so a neighbor’s dog can’t wander in and eat the rat poison. It’s tempting to think the outdoors are a safe and natural place for a dog to roam free, but this isn’t always the case. Do an outdoor check to ensure your yard is dog-friendly and safe. A common but silent threat could very well be the plants growing in your garden or yard. Not all plants are safe for dogs to eat, and any dog owner who has watched a dog eat grass knows that plants can be hard to resist for a dog. Check out the ASPCA’s list of both toxic and non-toxic plants. It’s important to check all indoor plants as well and be sure they are safe for your dog and other pets to be around. 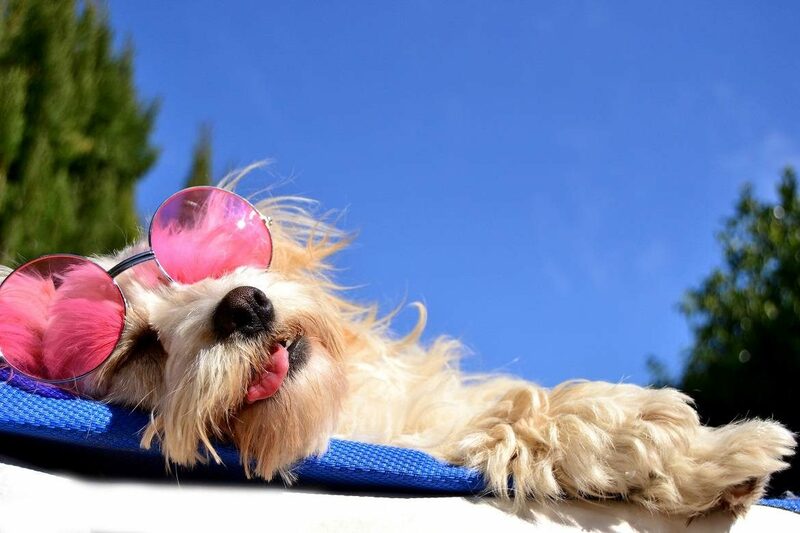 The RSPCA of New South Wales recommends setting up both a fence and a shelter for your dog in the yard. Even the most well-behaved dog can get themselves into trouble from time to time, exploring a little too far beyond their home. A sturdy fence prevents your dog from getting lost before the problem can occur. It’s also a good idea to have a shelter for your dog. If your pup gets caught in the rain, snow, or even severe heat, it’s helpful for them to have a place they can go to be safe from the elements. What have you done to dog-proof your home? Do you have any horror stories from a time when you didn’t do any dog-proofing? Share them with us! Every dog owner knows that chocolate should never be fed to dogs. Chocolate – and any caffeinated food or beverage for that matter – contains methylxanthines, which are stimulants that trigger the nervous system. The ASPCA warns that this stimulant can cause vomiting, diarrhea, panting, excessive thirst, excessive urination, hyperactivity, abnormal heart rhythm, tremors, seizures, and even death. A good rule to follow is “the darker the chocolate, the more dangerous it is.” Dark chocolates have more cacao and therefore more methylxanthines. But is chocolate the only dangerous food for dogs? Unfortunately, the short answer is “no.” There are several “people foods” that should always be kept away from dogs to avoid serious illness – and in some cases, death. We’ve made a list of 6 food items that all dog owners should be wary of. Dogs are carnivores, so feeding a dog meat is usually perfectly valid. But while a dog’s ancestors the wolves may eat their meat raw, it is never a good idea to feed your dog uncooked meat or eggs. Just like humans, the Salmonella and E. coli that can sometimes be found in uncooked or undercooked meats can be harmful to dogs. The ASPCA cautions that raw eggs can cause a biotin deficiency in dogs. This is due to an enzyme found in eggs called avidin which decreases the absorption of biotin. This can lead to skin and coat problems. It’s also important to note that bones from raw or cooked meat should not be given to your dog. It may seem like a natural choice, but the bones could splinter and cause harm to your dog. A dog also has the potential to choke on the bones if they are small. The AKC says that even though fish can be a wonderful treat for your dog, you should always pick out all of the bones – no matter how small. This one is a bit of a mystery. The toxic substance in Grapes is not currently identified, but the results of consumption are pretty staggering. 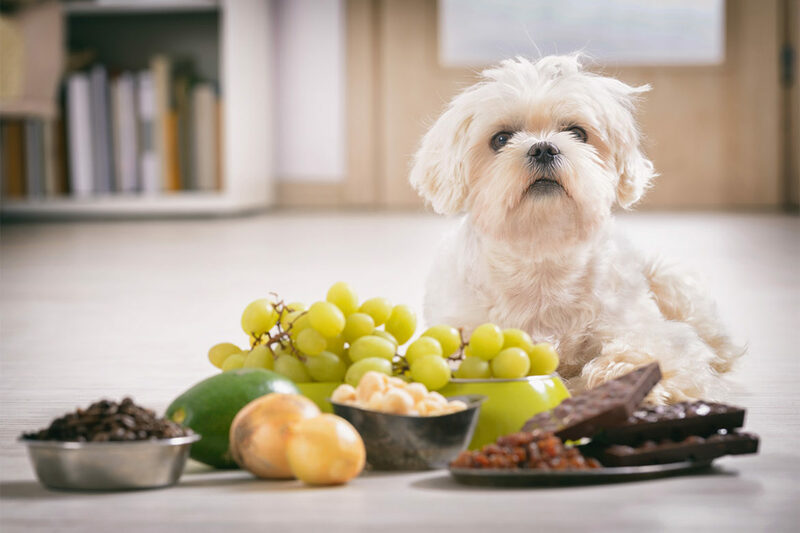 While symptoms may vary from dog to dog, the most common side of effect of eating grapes or raisins is kidney failure. This can occur even after eating only a small amount, according to the MSPCA. 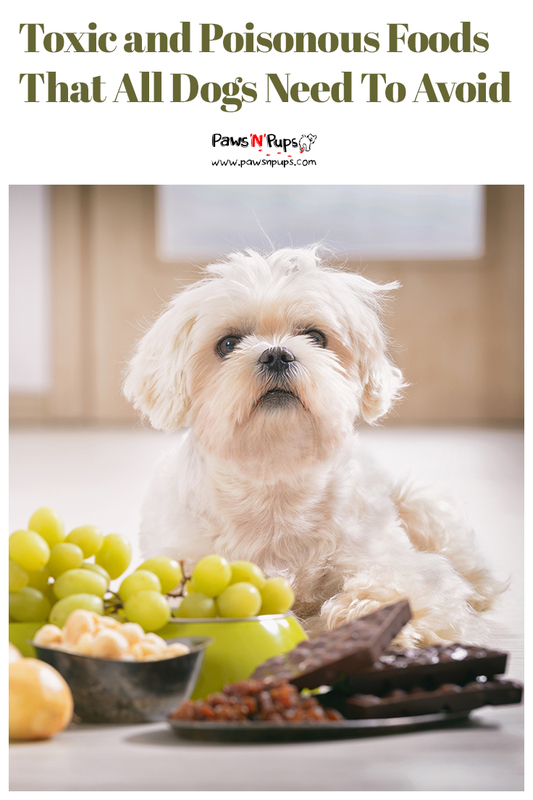 If your dog has ingested grapes or raisins, it may begin showing some symptoms. These symptoms include vomiting, diarrhea, lethargy, poor appetite, and decreased urine production. Seek immediate veterinary assistance if your dog shows these symptoms, and you believe they’ve consumed grapes. Without proper treatment, your dog may experience permanent kidney damage. The Huffington Post states that death from kidney failure can occur in as little as 3 to 4 days. Strangely, some dogs never show any signs of being bothered by grapes. But until the specific toxin is identified, it is best to avoid grapes and raisins completely. Perhaps this one should be obvious, but it’s important to note that alcohol should never be given to dogs. This not only includes beverages but also any foods that contain alcohol, says the ASPCA. Just like in humans, alcohol consumption in dogs can cause vomiting and decreased coordination. In addition to these typical symptoms, dogs also may experience diarrhea, difficulty breathing, a coma, and possibly even death. When a dog consumes alcohol, it should be treated like they have ingested a poison, whether they ingested it by accident or on purpose. Allowing a dog to drink alcohol should not be done as an amusing activity. Because alcohol is considered a poison for dogs, they should never have alcohol – via beverages or food. These foods are part of the Allium family and include leeks and chives in addition to onions and garlic. All of these foods have the potential to cause red blood cell damage if consumed in large quantities. The AKC states that the stronger the Allium plant, the more toxic it is to dogs. Therefore garlic should always be avoided – even garlic powder. Allium plants like onions and garlic can cause anemia in dogs if enough is ingested. Symptoms of anemia include pale gums, weakness, and even collapsing. The red blood cell damage that these plants cause can lead to kidney failure if too many are eaten. It’s important to watch your dog for several days after it eats any onions or garlic. Symptoms sometimes take a few days to show themselves. But watch closely. If a case is severe enough, a blood transfusion may be necessary. This is one of the most poisonous foods you can feed a dog, and also one of the more recent discoveries, according to the Huffington Post. Currently, it is unknown what in macadamia nuts causes harm to dogs. After ingestion, the common side effects include vomiting, increased body temperature, and lack of coordination. Weakness and the inability to walk may also occur, due to the macadamia nut’s effect on the nervous system. The MSPCA says that most dogs will recover from ingestion within 24 to 48 hours, but those hours will be difficult for the dog. Depending on how many nuts were ingested and how your dog is affected by them, permanent damage could occur. Seek veterinary assistance if you believe your dog has eaten macadamia nuts. This food is especially important to watch out for because it is an ingredient in many human foods. Xylitol is an artificial sweetener, found in gums, candies, and even toothpaste. It is widely used in low-sugar products. And while it may have benefits for humans, in dogs it can be quite harmful. According to the ASPCA, Xylitol causes an increase in insulin production in dogs. This increase leads to a dramatic drop in blood sugar levels. The first symptoms to watch for include vomiting, lack of coordination, and lethargic behavior. These symptoms can worsen and cause seizures in dogs. The MSPCA says that symptoms will begin to show themselves in as little as 30 minutes after ingestion, so seek veterinary help as soon as you can. A veterinarian will have to use a sugar solution to correct the low blood sugar levels. Medication may also need to be administered to help improve liver function. All dog owners know that sometimes even when we are 100% careful, dogs will get themselves into trouble. This is why it’s important to keep the phone number for your primary veterinarian and a veterinary emergency hospital on hand at all times. Save both numbers in your cell phone. Hang them somewhere prominent in your house, like the fridge. Make sure all family members, dog walkers, and pet sitters have access to these numbers. Also, consider saving the number for the ASPCA Animal Poison Control Center. They are a wonderful resource in addition to your local veterinarian. Always seek professional help immediately if you believe your dog has ingested something harmful. Have any more tips on what should never be fed to a dog? Let us know in the comments below!